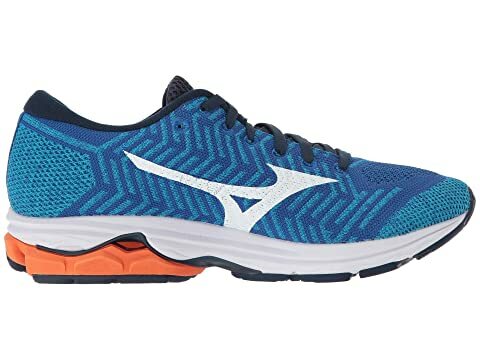 The smooth, sock-like construction, breathable comfort, and excellent traction of the Mizuno® Wave Rider 22 Knit running shoe will enhance every moment on the open road. 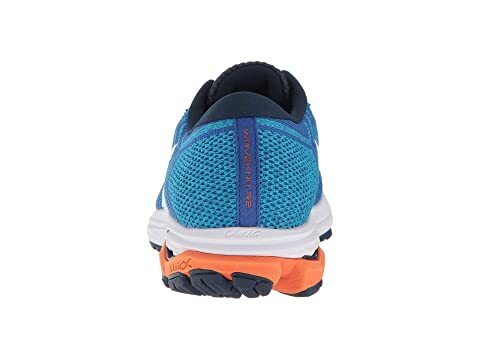 WaveKnit upper offers a breathable, sock-like fit with incredible stretch and hold for long-lasting wear. INTERCOOL ventilation system reduces heat and humidity build-up inside the shoe during performance. Soft collar and interior lining helps reduce the likelihood of irritation. 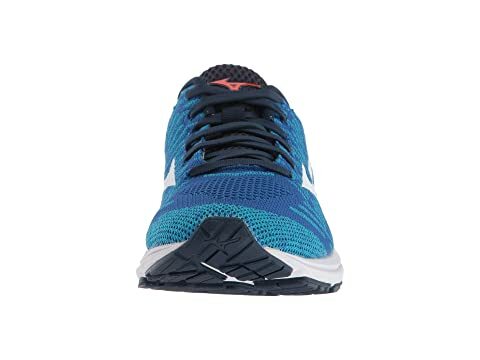 Removable insole with premium sockliner cushioning for excellent underfoot support and comfort. 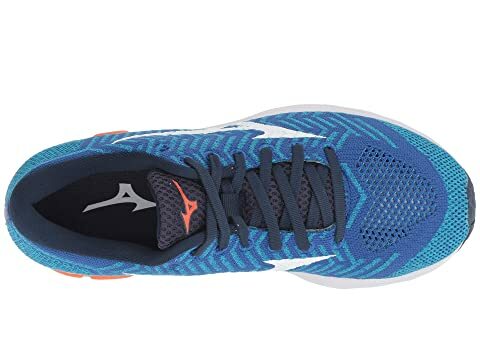 Features Mizuno Cloudwave technology that provides cushioning, guidance, and more lively feel underfoot. U4icX strobel lasting board ensures a comfortable underfoot feel. 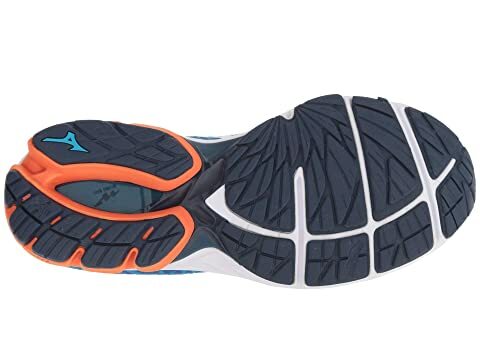 Articulated U4icX midsole heel supplies greater cushioning for a softer feel. 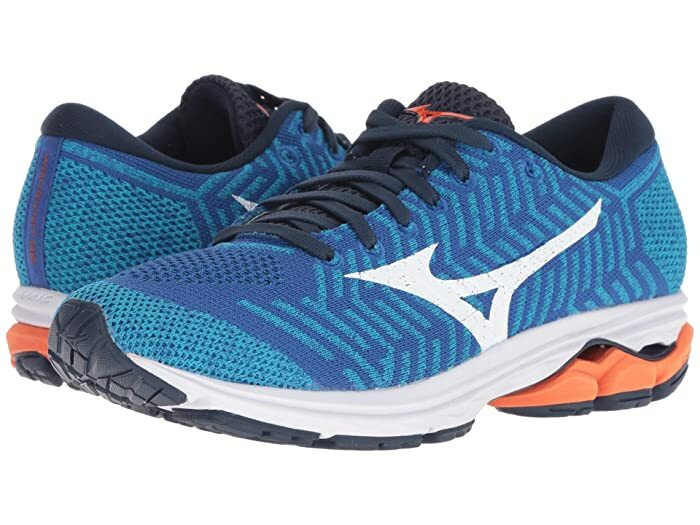 Redesigned Neutral Wave® plate provides softer cushioning, and enhanced response.